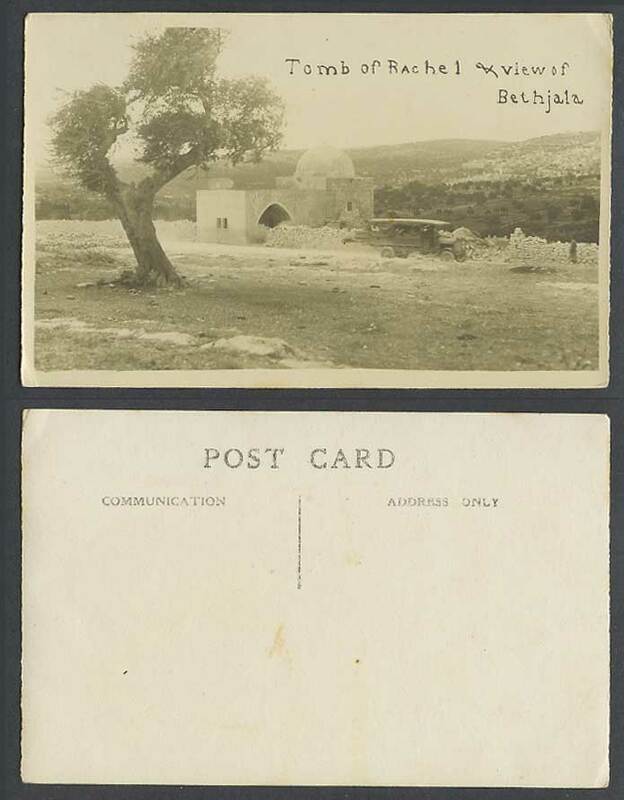 Vintage Old Real Photo Photograph Photographic Postcard, Middle East, Palestine Israel, Holy Land, Tomb of Rachel & View of Bethjala. Vintage Car Vehicle. Hills. Tree. Panorama.